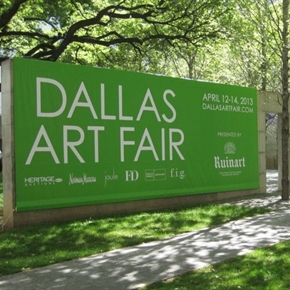 Headed down south for the Dallas Art Fair this weekend? Good news: when it comes to food, accommodations and fun, Texans don’t mess around. Ahead, peep our picks for where to stay, eat and play—we’ve placed a special emphasis on spots with great outdoor spaces, because spring is mighty lovely in the Lonestar State! Housed in a 1920’s neo-Gothic building and full of art, the Joule is as chic as can be. Inside you’ll find excellent restaurants (yes, there are multiple) and a world-class spa, and when you venture out you’ll find yourself near the Dallas Arts District and the flagship Neiman Marcus store. This funky hotel is located in Uptown Dallas less than a 5-minute drive from Fashion Industry Gallery where the art fair is being held this year. If this prime location isn’t enough to convince you to stay here, there’s an award-winning restaurant here as well. It’s no surprise that this hotel is an extremely popular wedding venue—check out that gorgeous exterior! Once the private residence of a cotton baron, the impeccably restored mansion is now one of Dallas’s most iconic buildings. The hotel boasts—you guessed it—a delicious restaurant and a pool area perfect for lounging on a sunny April afternoon. Located in Klyde Warren Park, an amazing green space built over a freeway between Uptown and Downtown Dallas, Savor is a great option for enjoying modern American cuisine al fresco. It should be a federal law that you can’t leave Texas without eating at least one Tex Mex meal. This place has eight kinds of margaritas and phenomenal food across the board, not to mention a lively outdoor patio. If that doesn’t convince you to give it a try, we don’t know what will. Some say the second most important food group in Texas is barbecue, and we’re not about to disagree. Granted, 18th & Vine is *technically* Kansas City barbecue, but when it’s this good it doesn’t matter. Speaking of imperatives, you also need to hear some country music before you leave Dallas, and what better place to do that than a venue owned by Texas country legend Pat Green? Pat’s Backyard is a huge patio filled with picnic tables and strung with festive lights—not a bad place to spend an evening if you ask us. Whether you’re a fan of our former president’s politics or not, we highly recommend a visit to the Bush Library on Southern Methodist University’s campus. If you go, don’t miss the special exhibit featuring President Bush’s portraits of military veterans—believe it or not, he’s a very talented painter! Just minutes from downtown Dallas, this urban oasis is a must-see in the spring. We hear there are fields of tulips there this time of year, so head on over for your floral fix. If you’re in need of some retail therapy, check out the Neiman Marcus flagship store downtown. Be sure to go hungry, because the Zodiac restaurant serves popovers with strawberry butter and they’re to die for. Steve Parrino’s, Dancing on Graves, opening April 5th – 6-9PM at The Power Station, which is a not-for-profit contemporary art space in Dallas. Billy Childish at The Goss Michael Foundation The Goss-Michael Foundation is one of the leading contemporary British art collections in the United States. Billy Childish’s mountain view house is a must-see while in town. The 2017 Dallas Art Fair runs April 7 – 9 at the Fashion Industry Gallery.